IBMA has announced the keynote address at this year’s Business Conference will be delivered by Rhiannon Giddens. The conference is set for Tuesday, September 26, at the Raleigh Convention Centre in downtown Raleigh. 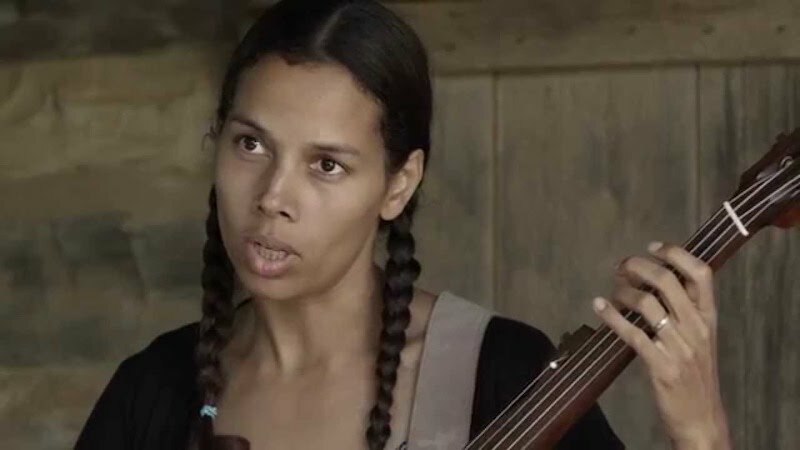 Rhiannon Giddens’ album Freedom Highway was released earlier this year to critical acclaim, and last year she was awarded the BBC2 Folk Award for Singer of the Year. Rhiannon Giddens came to prominence with the Grammy award-winning string band Carolina Chocolate Drops, playing banjo and fiddle. Her 2014 Grammy nominated solo debut, Tomorrow Is My Turn, blends gospel, jazz, blues, and country, and showcases her dazzling vocal prowess. She performed at the Obama White House, and duets with country star Eric Church on his powerful anti-racism hit Kill a Word. Giddens also has a recurring role on the recently revived television drama Nashville. We are thrilled and honored that Rhiannon Giddens will be this year’s Keynote Speaker to kick off the IBMA’s World of Bluegrass. Rhiannon has embodied this year’s Business Conference theme of Community and Connection throughout her life and musical career. Having grown up in a household filled with bluegrass music and then trained in classical voice, she has drawn upon this early foundation to form a creative musical journey. Rhiannon has achieved both critical acclaim and great career success by merging elements of old-time, folk, jazz, country, and bluegrass to reach whole new audiences. Her passion for American roots music, along with her thoughtful and purposeful career, provides each of us a lens through which we can see beyond our own barriers – Paul Schiminger, IBMA executive director. Read more on the IBMA Website.